Frylight has released a new advert, featuring the only One Cal cooking spray. The 30-second spot shows several families using Frylight to cook their meals while the voiceover mentions that this spray contains plant extracts so you can cook with 95% less fat. This “unique, patented technology spray cooking oil”, described as “perfect” for everyday frying and cooking, delivers exactly one calorie per spray. There are Frylight Sunflower, Frylight Olive, made with only the finest Extra Virgin Olive Oil, and Frylight Butter, just perfect for pancakes thanks to its authentic buttery flavour. 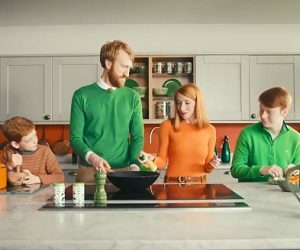 The advert ends with the voiceover saying the brand’s tagline, “Feel Good Frying”. The song playing in the background is “How You Like Me Now?” by the British indie rock band The Heavy.